We have been serving Chicagoland for over 95 years. 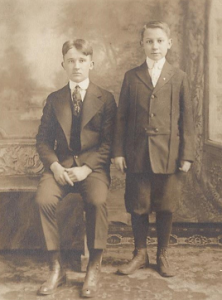 In 1920, Eugene Herder left his job at the Chicago stock yards and started a hauling business with his three brothers. 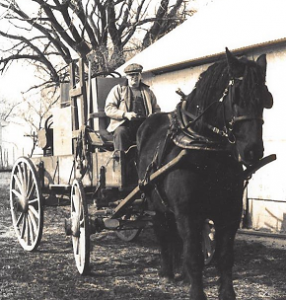 They began on the corner of 53rd and Halsted in Chicago with a horse and a wagon, delivering ice in the summer and coal or firewood in the winter. After five years of hard work, the Herder brothers bought their first truck. During the Great Depression, the Herders found themselves extending credit to customers who couldn’t afford to pay up front. Customers would get off the trolley at the 55th Street stop–only a few blocks from the Herder warehouse–and pay three or four dollars at a time towards their balance. John Herder, Eugene’s son, came to work for Herder Bros. in 1964. He helped the business to diversify into frieght hauling, furniture moving and furniture storage. After 50 years at the Halsted and 53rd Street location, Herder Bros. moved its warehouse to 45th and Tripp Avenue for eight years. Herder Bros. had acquired its own fleet of tractors and trailers over the years, but that gave way when the owner operator system became commonly accepted in the 1960s. Two of the original brothers had moved on to other lines of work by this time and one had died. Since 1970, there have been no actual Herder brothers. In 1977, Herder Bros. moved again to its next location in Frankfort, Illinois, on the corner of Laraway and Center. There the trucking aspect of the business thrived. Frankfort was booming with industry and Herder Bros. played a key role in transportation. Moving has always been a part of the business and that remains true to this day. Since 2006 Herder Bros. has been managed by Christopher Herder, John’s son. There are still no brothers as Chris is an only son and has only one son but a name change might be imminent. There are five Herder sisters. The business is now located just outside Frankfort in Green Garden on the southwest corner of Rt 45 and Stuenkel Rd. Trucking is still the mainstay and moving plays a role as well. We have one crew which is often made up of someone in the family. Being family owned and operated is something Herder Bros. takes great pride in. Please call us today to see how we can assist you in your moving project.